Just off living room, there’s my mom’s garden. 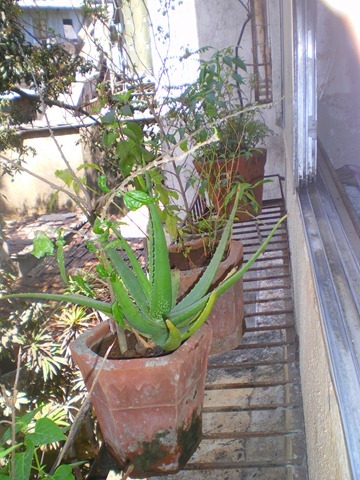 See Curry Leaves plant in back, Tulsi and Aloe Vera in front. My mom scattered some chili seeds from dry chili pepper in one of her empty planter, these germinated nicely and yielding 6-7 peppers every month. 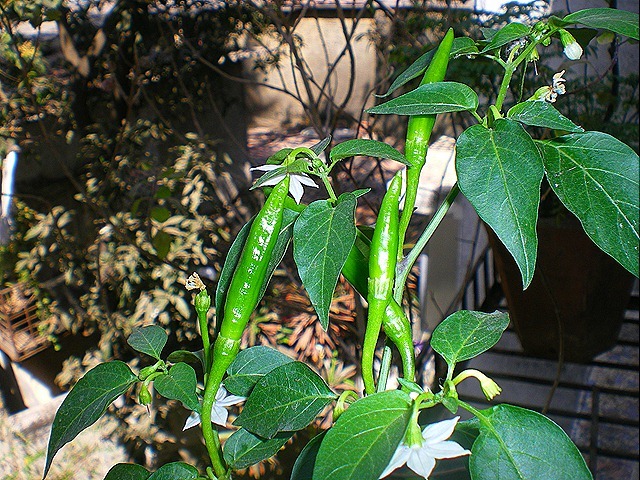 Peppers are loving this hot 80- 90s weather in Mumbai.